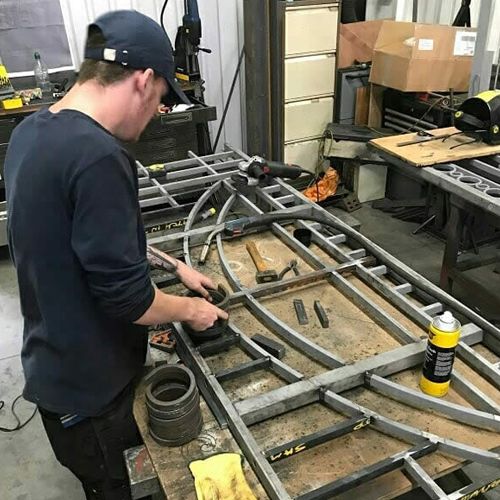 TIW Fabrications“ has a number of years of experience in the field of metalwork; working with a wide range of materials. We pride ourselves in crafting these materials into; Gates & Railings,Staircases, Balconies and Interior/ Exterior furniture. We also have the ability to replicate all forge work to standards set by English Heritage. Upon completion, all work can then also be delivered and installed by our team. We showcase a variety of patterns for London Rail Heads and Finials, Cast iron Panels, inserts and stair treds- of which can be selected for the creation of projects. We have the privilege of promoting an experienced site team with the ability to intricately design and create projects individually tailored to our clients needs; which can even be crafted from a client’s own ideas and photographs (when drawings are not available). TIW Fabrications can offer a FREE survey and consultation on the site to establish designs and materials to tailor the required work so that it ties in with local surroundings. Surveys can be booked between 7am- 5pm Monday to Friday. Once an estimate has been agreed, we can issue workshop drawings for confirmation of design and client specification (if required) to confirm all details. Contact us today on …… to book a survey.